Can you recall the familiar sound of a school bell? Remember the secrets shared on top of the rocket climbing frame during recess? Missing that incredibly sweet drinking powder, poured directly into your mouth before your Mom picks you up and takes you to karate, ballet class, piano lessons and so on? This February we will walk down memory lane and travel back in time to the good old days of elementary school. Get ready for an unforgettable field trip with the most amazing classmates anyone can wish for! The excursion will take place in Agárd between 22-24 February and is organized by ESN Corvinus. 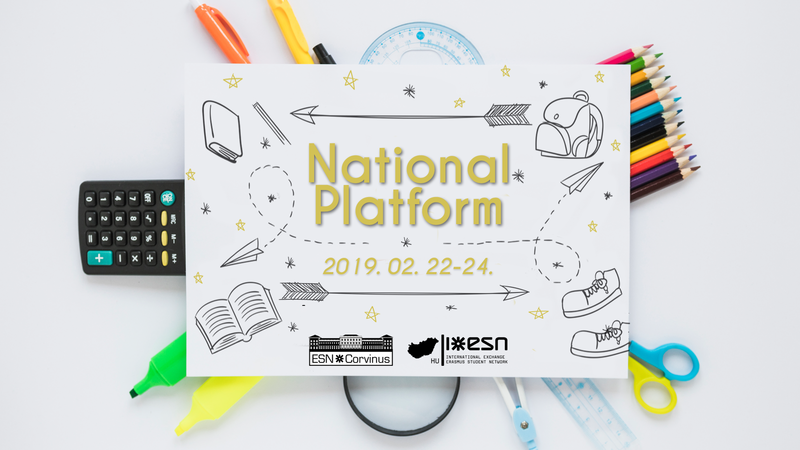 We expect a fruitful and successful National Platform, including the National Board Elections, many discussions, presentations and of course teambuilding sessions and fun social events with your classmates before bedtime! You can register until 23:59, 1st of February! Please transfer the participation fee until the 7th of February to ESN Corvinus, the Organizing Section. You will get every relevant information regarding the payment methods via email after your spot gets confirmed. Detailed program and agenda are coming in the forthcoming days. Hope to see many of you, until then, invite every relevant person to the event, let's get together and have an amazing NP!